2007 VOLKSWAGEN NEW BEETLE CONVERTIBLE Printer Friendly Flyer. 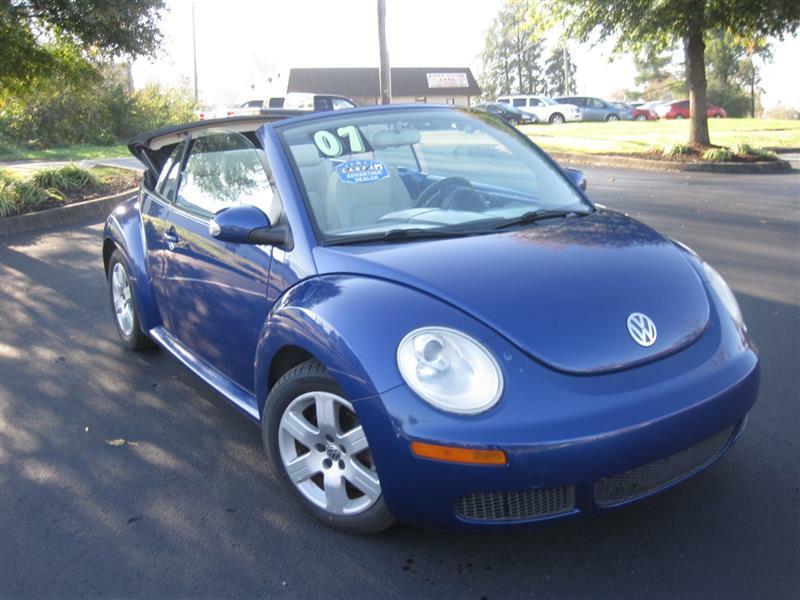 A real nice and clean 2007 VW beetle convertible with leather interior, low miles, and all the power options. Looks and runs great. A local trade with Carfax history and service records performed at Harper VW in Knoxville. Just installed a Brand New Top with New Tires. Come see it before its gone.